Once programmed with the buttons on the side, the e-pill� CADEX� will continue to remind the user daily - Up to 12 Daily Alarms with programmable text reminder messages and snooze function. 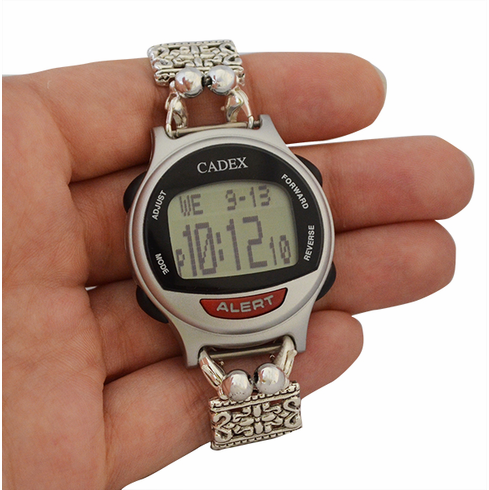 The e-pill CADEX Medication Reminder 12 Alarm Watch & Medical ID Medical Information is easy to program and easy to use with its large display. Never Forget to take your Medications Again!